We are flexible, adaptable, and able to match the needs of our customers with cost-effective solutions through a multitude of avenues. Our seasoned Account Executives immerse themselves in projects from inception, offering marketing expertise, connections with other clients, project management teams, and consulting throughout the duration of a project’s lifecycle. Whether you need a small team for a few months, or several hundred consultants to execute a large tactical effort, we can help. Whether your scope is small or large, short or long-term, we have a vast pool of expert consultants ready to bring success to any capital or operational project. With subject matter expertise and blended resource solutions, we’ll build you a strong, knowledgeable, and effective team. Sometimes, change is good, like infusing your organization with the next generation of leaders through our Technical Youth program. Or, leverage highly skilled Veterans through Project Patriot. Whether you go with one or both, we can be the positive change your company needs. Medasource has offered strong resources ranging from senior level project managers to temporary data entry personnel. The recruitment team listens actively and works quickly to match their talent pool with the needs I present, whether those needs are purely technical or more healthcare specific. 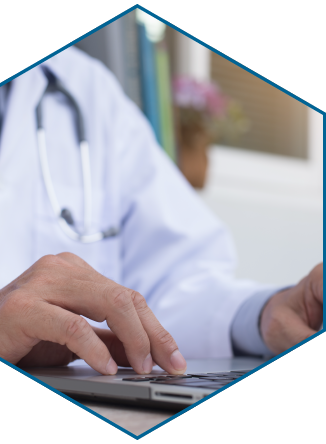 We’re experts in health IT, EHR, revenue cycle solutions, clinical engineering, and life sciences. And with our tenacious talent pool, we’re capable of designing and implementing technology solutions for enterprise-level healthcare systems with diligence, precision, and speed. When you work with us, you’re working with a team who cares as much about your potential and growth as we do about our own. Ranked as No. 1 among healthcare suppliers/vendors by Modern Healthcare’s 2018 Best Places to Work in Healthcare, you can trust your interests and professional development will be our top priority.